Herbal fat burner, boosts energy, promotes normal thyroid and glucose levels. A new formula that contains the best ingredients to metabolize fat the natural way at the same time promotes energy yielding metabolism and the production of normal thyroid hormones and thyroid function. It supports carbohydrate, lipid and fatty acids metabolism and contributes to normal glucose levels. 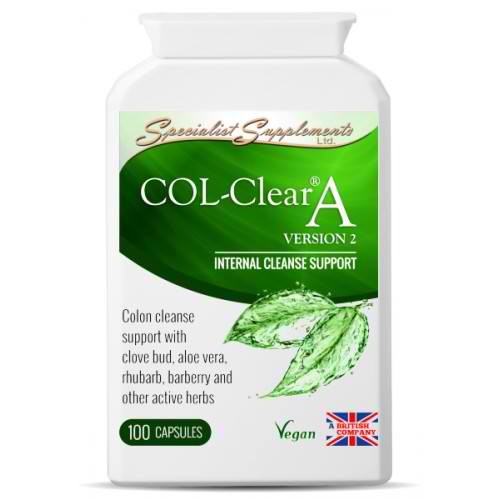 This is a new herbal formula with approved health claims. This is our most powerful formula for weight loss support! 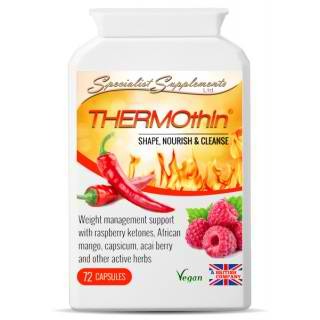 THERMOthin contains many of the best known ingredients to help you mobilize fat for long term weight loss results! This improved version contains 11 herbal ingredients (glucomannan, bitter orange peel, raspberry ketones, caffeine anhydrous, green tea, L-Tyrosine, African mango, capsicum, guarana, Siberian ginseng and piperine). Also added the micronutrients vitamin B6, choline, zinc, chromium picolinate and iodine. Shape, cleanse and nourish your body. Ingredients have been hand-picked for their high nutrient content, as well as for their gentle fat burning, metabolism and promotion of normal thyroid function and normal glucose levels. 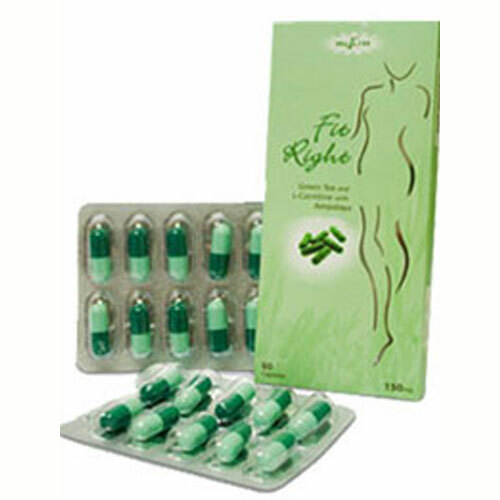 This is a comprehensive natural herbal weight management formula. Compare the ingredients to other slimming products in the market and you will see why our product superior in terms of benefits in achieving your weight goals. THERMOthin herbal weight loss formula is manufactured in the UK under ISO2000 standards. This product will be shipped to you from the UK. Take 2 capsules 3 times a day with water. Be the first to review “Slimming Herbals” Click here to cancel reply.